The Oral Histories Project operates under the umbrella of the Experimental Humanities Digital History Lab. 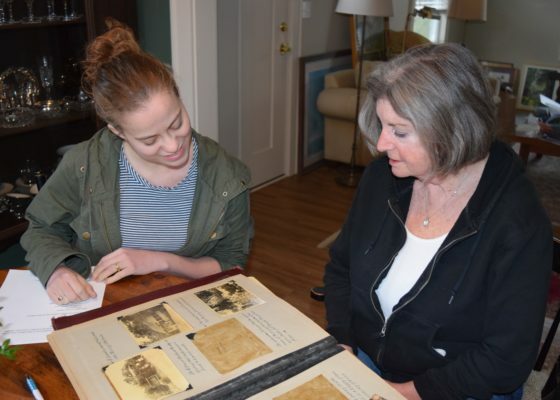 The project is centered on the collection of interviews with northern Dutchess County residents (or former residents) who are currently living in or have lived in the area for more than twenty years. The Oral Histories Project operates under the umbrella of the Experimental Humanities Digital History Lab. 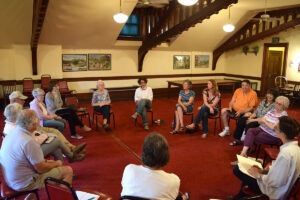 The project is centered on the collection of interviews with northern Dutchess County residents (or former residents) who are currently living in or have lived in the area for more than twenty years. The purpose of this project is to document the memories of life in Tivoli, Red Hook, and Rhinebeck prior to the year 2000. The Oral History project is divided into subcategories for this collection of interviews: 1) Tivoli residents, 2) northern Dutchess County apple growers, and 3) people affiliated with the Ward Manor property prior to its purchase by Bard College. Each of these subcategories of interviewees will supplement a current Digital History Lab project by enriching the historical record with individual stories. The focus of the interviews will pertain to the economic history of the region by prompting personal reflections and impressions of changes in the local economy. The aim of this project is not to draw any conclusions from these stories, however, and instead present them as they exist simultaneously beside one another in filling out a picture of varied experiences. Tivoli’s history has been marked by a series of economic changes, largely shaped by modes of transportation. From the river traffic of the colonial and early Republic periods, to the opening of the Erie Canal in 1825, to the introduction of the railroad in the mid-nineteenth century, the economy of Tivoli has shifted to accommodate these changes, sometimes in terms of growth and at other times in terms of decline. Tivoli’s economy has especially undergone significant changes since the discontinued ferry service between the village and Saugerties in 1940 and then the closing of the railroad station in 1960. The latter event is especially significant in the living memory of long-time village residents. Our interviews will ask senior residents of Tivoli to reflect on their experiences of living in the village as they remember life after the ferry and railroad, to recount their memories of businesses in which they were employed or owned, and to reflect on their impressions of changes in the village economy over time as it affected them individually. These audio interviews will supplement an audio essay to be compiled by the Digital History Lab team, using the recorded accounts to provide individual reflections on places in the village in a virtual tour of the village through space and time. This project centers on a mid-twentieth-century cemetery in present-day Tivoli Bays Wildlife Management Area. The 170+ graves are those of residents who lived at Ward Manor when it was a progressive retirement home run by the Community Service Society (c. 1920s-50s). The mansion of Ward Manor and this cemetery were separated from one another when Central Hudson purchased the 1000 acres of Tivoli Bays in 1960 and Bard College purchased Ward Manor and the remaining 90 acres in 1963. The aim of this project is to recover not only the names of these former residents of Ward Manor but also to bring their pasts into our present. Documentation of each grave includes obituaries, census records, and other historical documentation of the individual when found and will be included on a map of the cemetery. 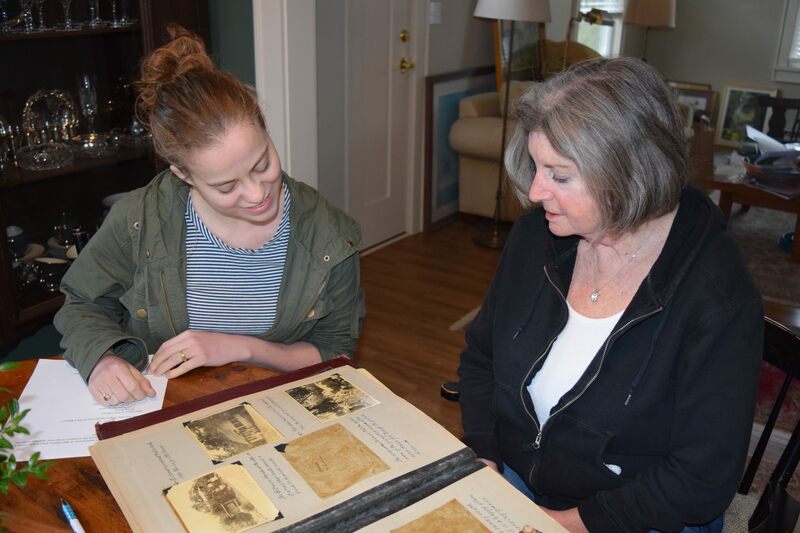 Oral history interviews will be conducted with current and former Tivoli residents who remember Ward Manor as a retirement home as well as its adjacent summer camps in order to bring to into the present this former life of a portion of Bard’s campus. This project began during the winter session of 2017 with five Bard College students investigating economic change in the agricultural history of northern Dutchess County. Their research question asked more specifically how apple cultivation was impacted by these changes, and they visited the farms of two local apple growers and talked via FaceTime with a retired apple grower. With the help of the EH Digital Projects Coordinator and the EH Developer, the students produced an interactive website that explored these larger shifts in the local economy and studied the cultivation of apples in New York more generally by building a database of 800+ cultivars. In continuing the work of this project, oral history interviews with these three growers in addition to a selected few others will be conducted as, again, a supplement to this project, providing individual accounts of how the farms have changed in the past fifty years or less in their personal experiences. Interview questions will especially encourage stories of interactions with other farmers or growing up on the farms so that these ephemeral qualities of agricultural change may be documented.